When you are trying to sell a property, it is important to provide potential buyers with visual examples of the home to help persuade them to take a closer look at the property. One of the first things that buyers want to see is the floor plan, because floor plans show the layout of the property. Real estate floor plans allow the buyer to visualize the way they can setup their home, because they have a birds-eye view of the home. It is very important to provide high quality pictures of the home, and video can also be beneficial to showcase the unique features of the property. But, pictures and videos aren't enough, because the buyer can't visualize the layout of the home without a floor plan. Remember that buyers often visit multiple homes during their search for the right property, and it can be difficult to remember the details of each home after they have looked at several in a row. A real estate floor plan will help them to understand the layout of the home so that they can remember the property that they toured. Having a professional real estate floor plan available for buyers and real estate agents makes it simple to share the details of the property. If you are selling your home, then you should work with your real estate agent to be sure floor plans are available for other real estate agents and home buyers to view. If you are a real estate agent, then offering floor plans for your properties can help you to showcase the you have listed. 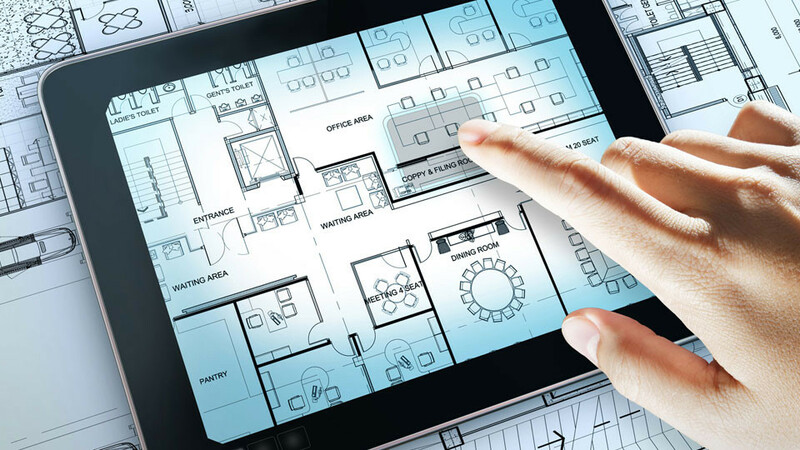 Floor plans simplify the buying process, and it is important to make things simple and easy. The easier the process is, the more likely that the home will sell quickly. In fact, if floor plans are not available for a home, then a buyer may become frustrated and look for other options, because they were unable to quickly find the information that they needed. Floor plans provide details that are difficult to share through photos and videos. For example, a floor plan can show the dimensions of each room, locations of the doorways and closets, and a quick overview of the number of bedrooms and bathrooms. It is difficult to convey doorway and closet locations with a simple photo, which is why the floor plans should always be included with the marketing materials. Floor plans also give the buyer the opportunity to think about how their furniture might fit within the room. If they can see the room dimensions as well as the locations of windows and doors, then they can begin to imagine the possibilities for their furniture within the room. For your online property listings, real estate floor plan images are a great way to get people to click on your listing. The buyer sees many photos and videos during their online search, but a floor plan stands out from the rest because they can see the exact layout of the home. It has been found that buyers are more likely to spend extra time viewing the property details if floor plans are available. The floor plans can be shared on the main property listing, as well as other real estate websites, social media websites, or anywhere else that you are marketing your home. It can be easy to get floor plans for a home with new construction, because the builder often has the floor plans already created. But, if you are selling an established home that has been around for awhile, then it might take a few extra steps to have the floor plans created. Even though it is a little extra work, it is still worth the effort to hire someone to put together floor plans for your home. Hiring a professional is essential, because a simple sketch will not be enough information to convey the details of your home. Some people are looking for ways to save money by drawing out the floor plan themselves, resulting in incorrect information and a poor perception of the home. It is worth it to hire a professional, because it can speed up the time that it takes for you to sell your home.